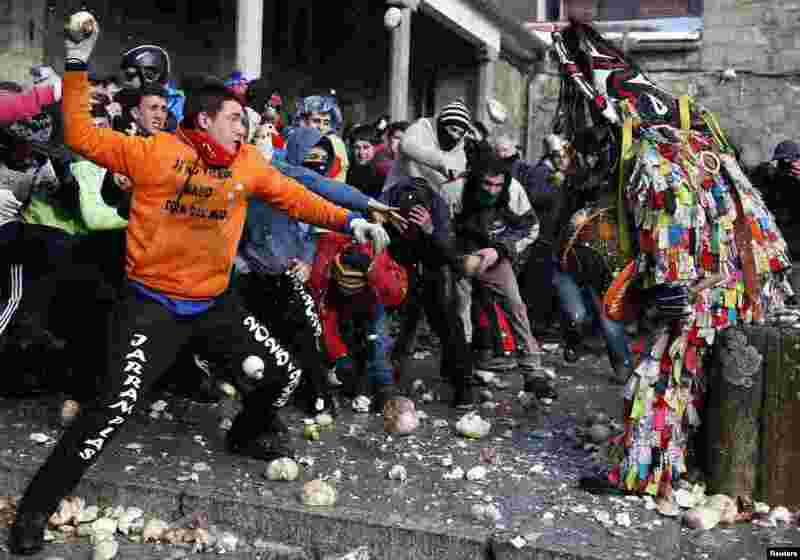 ۱ Revelers throw turnips at the Jarramplas as he makes his way through the streets while beating his drum during the Jarramplas traditional festival in Piornal, southwestern Spain. 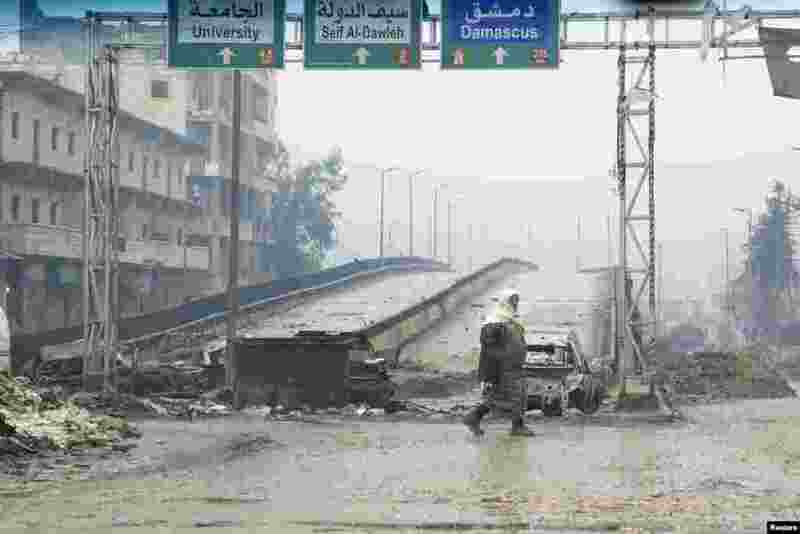 ۲ A man crosses the Al-Haj highway, which is closed because of sniper fire by forces loyal to Syria's President Bashar Al-Assad, in Aleppo. 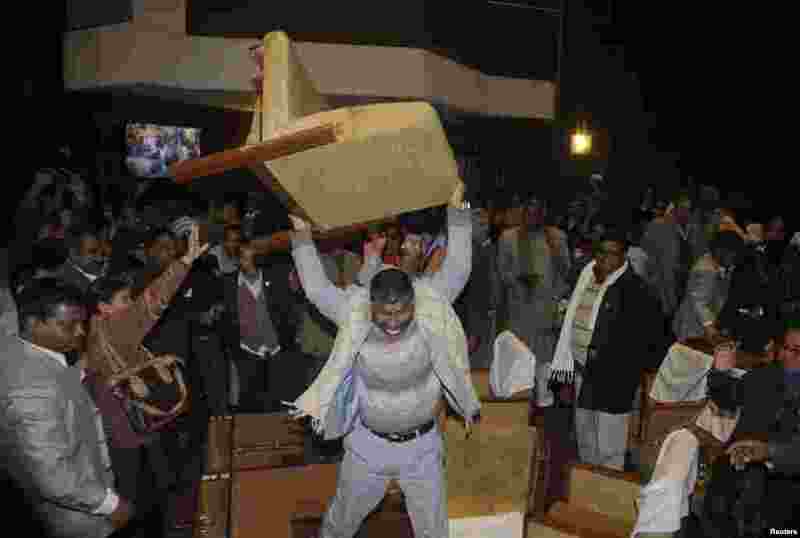 ۳ A member of an opposition party throws a chair during a meeting inside the Constitution Assembly building in Kathmandu, Nepal. The new assembly was elected to write a constitution after the abolition of the 240-year-old feudal monarchy that the Maoists fought against. ۴ Swiss special police officers observe the surrounding area from atop the roof of the Davos Congress Hotel in the Swiss mountain resort of Davos. More than 1,500 business leaders and 40 heads of state or government will attend the Jan. 21-24 meeting of the World Economic Forum (WEF) to network and discuss big themes, from the price of oil to the future of the Internet.